Since Hunt Brothers Realty was started by family, we believe in treating our clients as family. Not only will you find that our firm is powered by seasoned professionals who offer cutting-edge expertise in all aspects of real estate transactions, but also you will find that these experts are friendly and warm individuals who will treat you with respect and integrity. Whether you are searching for a waterfront island lifestyle, a mainland single family home or a condominium, we have a specialist to assist you in every category. You will need a skilled team that understands the challenges and opportunities that our local market offers. I was born in Lancaster, PA, but fortunately my parents wanted to reside where the weather was warm and the sun shining all of the time! I enjoyed many sunny days living on Siesta Key where my parents raised me, my two sisters and my brother. I have always felt that Sarasota is a great place to raise a family and followed in my parent’s footsteps raising three children of my own. I began my real estate career in 2002 and today I work in the office as your "concierge" for all the Hunt Brothers Realty clients. I was born in Ohio, raised in Iowa and graduated from San Francisco State University. After crossing several miles and experiencing many of our nation’s treasures, I ultimately found my paradise in the Sarasota area in 1992. I feel fortunate to have a supportive husband, two adventurous children, and a dog. Our household takes great advantage of the sunny coasts this oasis has to offer. We enjoy biking, fishing, camping and walking barefoot on the shores of Siesta Beach. I began my real estate career in 1999 after spending fifteen years in customer service and hospitality management. Becoming a Realtor was a natural progression for me, as it allowed me to combine my passion for serving others while showcasing the area I love. Born and raised in sunny Southern California I grew up with endless days at the beach and sand in my toes. The last 12 years were spent in Tennessee. I recently moved back to Sarasota where I had spent two years working for the Reds. I love this area and the year-round warmth. After a 30 year career in the sports medicine field, I wanted to get back to the beach, go fishing and ride my Harley. My children are my pride and joy, Kirstyn-31 is a highly successful Executive Chef, Skylar-22 just graduated as a physician's assistant and Tyler-21 is currently attending Savannah College of Art and Design. As your local real estate professional, I bring passion, commitment and determination to the forefront of your home buying or selling experience. I began my real estate career in the mortgage industry in 1999, and I obtained my Real Estate license in 2002. 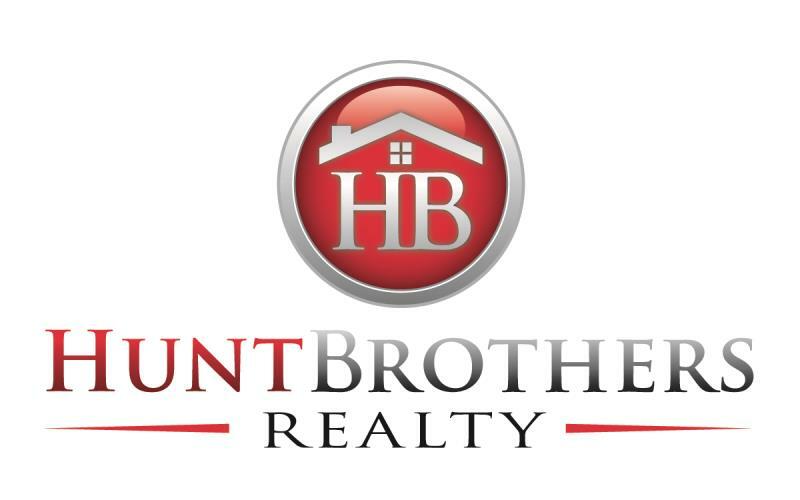 My brother, Rob Hunt, and I started Hunt Brothers Realty in June 2012. I believe selecting a Real Estate Broker that has knowledge from all aspects of the industry is critical to a successful transaction. As a local real estate professional I will guide you through the complexities of buying or selling your home, eliminating hassles and stress to the best of my ability. Originally from the New England area, Dave moved to Florida in 2011 with his wife, Jaime and their two daughters, Emmery and Ayla. Before venturing to the Sunshine State, Dave spent over a decade traveling around the world while serving in the U.S. Air Force. While in the service, Dave assimilated the values of integrity, service, and excellence, which are at the core of who he is on a personal level and how he conducts business. After his departure from the Air Force, Dave embarked on a new journey to pursue higher education. He has earned a Masters degree in Business Administration as well as degrees in both Information Technology and Business Management. All of his experience and business acumen give his clients a leg up when it comes time to market their property, find the perfect home, or negotiate on their behalf. Dave believes strongly that it is not only his duty to represent his clients to the best of his ability, but also to educate them throughout every step of the process armed with top-notch information and market insight so that his clients can make the best decisions possible. He is honest, hardworking, and extremely knowledgeable about the local real estate industry, having taken up strong roots in the community. Dave is known for outstanding client service, 24/7 availability, and skilled negotiations with his clients’ best interests at heart. Caroline Lynch has been a Realtor for over 20 years. Her experience includes commercial sales and leasing, management and residential sales. For the past nine years she has been a multi-million dollar producer and the broker for a boutique real estate company near Ann Arbor, Michigan. Caroline is a licensed broker in Florida as well and has relocated to join Hunt Brothers Realty, trading Michigan winters for Florida sunshine. She received a BS from Michigan State University and was awarded a National Association of Realtors scholarship to pursue a Masters degree in Real Estate at Realtor University, Chicago, in 2013. Our newest agent enjoys boating, kayaking, skiing, the beach, reading, traveling and visiting with her two grown daughters. Nicole is a loan assistant to our Sarasota Branch mainly assisting with the administration of mortgage applications and inquires. Nicole is committed to providing the best customer service possible and strives to deliver a stress-free experience for all of our mortgage clients. She has over 10 years experience in the mortgage industry. Nicole comes to the Sarasota/Bradenton area by way of Rochester, NY. Drawn to the famous white sand beaches, beautiful turquoise water and endless sunshine, she and her family decided to relocate to the Bradenton area in 2012. Nicole is happily married to her husband Dan of almost 20 years and they have two lovely daughters. Liz Nason is a born and raised New Englander from Wayland, Massachusetts. Liz's passion for real estate started at a young age as she grew up in the real estate industry; her father is a well known custom contemporary home builder in suburban Boston. Liz moved to Sarasota after a career in human resources in New York City. Looking for a better quality of life and climate, Liz was thrilled to move to the Gulf Coast in the Summer of 2001. A disciplined professional, who enjoyed the process of finding the right position for the right employee in NYC, Liz applies those same skills and care when finding the right home for clients. Additionally, the same competencies and diligence is employed when researching, marketing & selling a home. “After 16 years in this business, I feel my strength is my ability to adapt to what my customer needs from me. I’m able to shift gears from selling a condo downtown to finding a waterfront home or helping an investor find a rental property for a portfolio. If you have a $250,000 home to sell, you will be getting the same level of services and energy as you would if it were a multi-million home on Longboat. 95% of my business is from referrals by former customers, so I must be doing something right!” Liz has been voted a Five Star agent, “Best in Customer Service" (Top 4% of agents by Sarasota Magazine) for the past 13 years and continues to weather the storm of an unpredictable Real Estate Market. Her reputation is solid and she is well respected by the other Realtors she works with. As Liz says, “It’s all about relationships.” She enjoys shopping the Downtown Farmer’s Market on Saturdays, scuba diving, traveling and spending time with her husband and two dogs Oscar and Harry.